Michael Lewis Instruments offers mandolins and archtop guitars of enduring quality made to please and inspire. Please remember, custom orders are our specialty. We know that tone, appearance, playability, and feel can be very personal. With your preferences planned into the design and our experience and skill put into your instrument, you can be assured of satisfaction. We have made some subtle changes to the traditional designs that both strengthen the structure and improve the instruments voice. 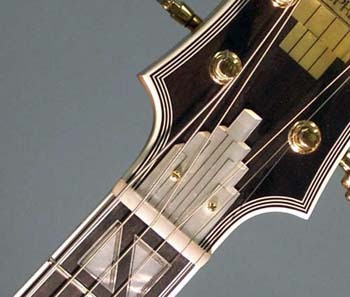 We use a variety of tonewoods in Lewis instruments, selected for tone, appearance, and to ensure structural integrity. Each is an excellent tonewood when used to advantage.